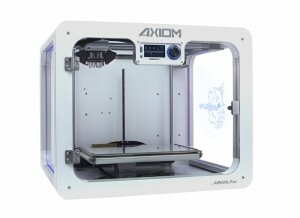 Home » Blog » Why choose Airwolf 3D AXIOM? What gives the Airwolf 3D AXIOM series a competitive advantage over the influx of low-cost 3D printers entering the market? A 3D printing powerhouse that fits on your desktop: The AXIOM Dual by Airwolf 3D. Before buying a low-cost 3D printer kit, make sure you understand your needs and the hidden costs of an inexpensive 3D printer. With the recent trend in low-cost, budget 3D printers hitting the market, it is tempting to buy these machines for your prototyping needs. Be smart and understand the hidden costs BEFORE you buy. Over the long run, cheaply made machines are more expensive, time consuming, and difficult to maintain. Spend less time fixing an inferior printer and more time using your Airwolf 3D printer to design, build, and innovate. Buy AXIOM. Which AXIOM is the right 3D printer for you? Let us help! Contact Airwolf 3D at (949) 478-2933 or email us at sales@airwolf3d.com for a free consultation. This entry was posted in 3D Printing Tips & Tricks, Blog. Bookmark the permalink.